In modern Ireland, the cost of housing in the main urban centres is eye-wateringly expensive and simply paying for the roof over your head, cripples any hope of enjoying other activities such as eating, driving and enjoying a sneaky pint after work! It is little wonder that city folk, in Dublin, Cork and Limerick, are eyeing their country cousins with envious and jealous looks. This ironic turn of events comes after decades of pompous disdain at the lack of bread and gin varieties available in your average Irish village. 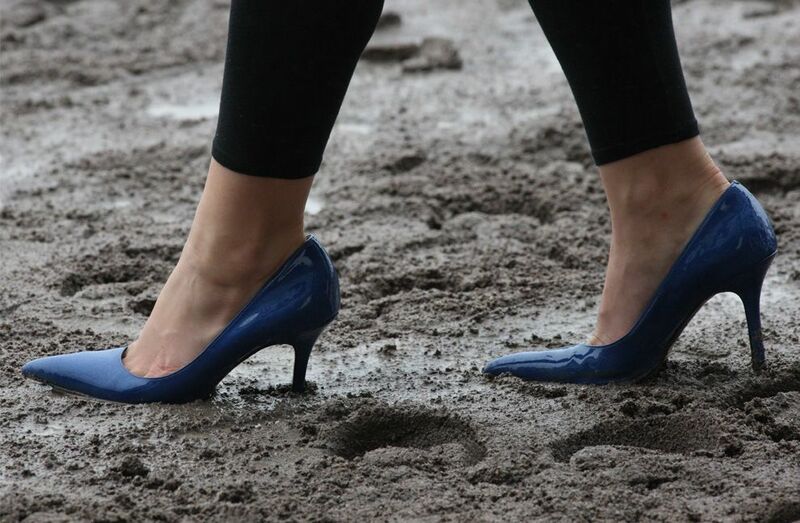 Now, the lifestyle of rural Ireland has it all. Panini’s, hummus, cocktails, nature, beautiful views and an easier pace of life. Housing prices is just the tip of a large iceberg offering a better living standard. The eternal question for city slickers anxious to how to leave the rat race, but still maintain a living wage in the rural setting. Online business’s have been the option for many rural folk and it could be the way forward for anyone seeking a more fulfilled life in the sticks. A strong online presence may be the key to having your cake and eating it. 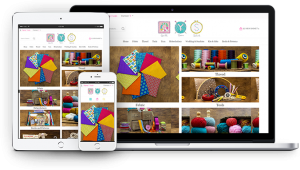 Quilt Yarn Stitch is one company who have both a shopfront on the high street and a busy, vibrant website. This beautiful fabric, yarn and craft store in Tuam, Co. Galway wanted to model their online presence on the personal experiences of their actual store. www.quiltyyarnstitch is a flourishing, bright and engaging website. Róisín McManus explains ‘We wanted to have a webshop that customers would truly love and that would be their “go to” shop for all their needs, particularly for patchwork and quilting. Our actual store is bursting at the seams (pardon the pun) so there’s something for everyone and we hope our website reflects this. Our team love to serve fabric to yarn lovers of all kinds – quilters, dressmakers, knitters, crocheters, crafters, guys and girls, young and old- We feel our website is a place, like the shop itself, where you can find lots of lovely things.” With a flat rate of delivery in Ireland of just €3 and a reputation for great customer service, QuiltYarnStitch has expanded their customer base far beyond the town of Tuam, and is now competing well in the lucrative school market providing Leaving Cert and Junior Cert packs. Of course, good broadband infrastructure is a key to managing a rural online business. If you are used to fast and unlimited, it can be a shock to go West and experience the digital divide first hand. 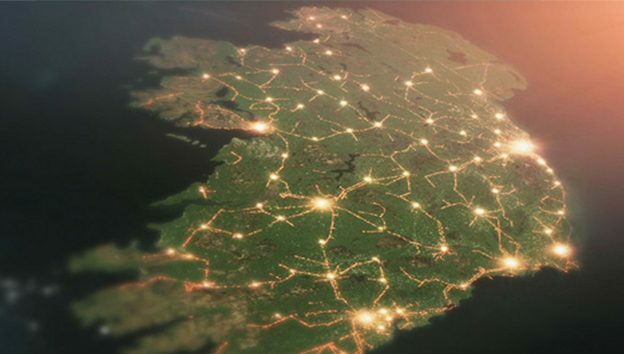 The Irish Government has reiterated its commitment to providing Broadband connectivity to the entire Ireland in the coming years. For those living in the ‘black spots’ of internet access, precariously poised on the wardrobe in the back bedroom to improve the signal to an outdated dongle, this is particularly good news. 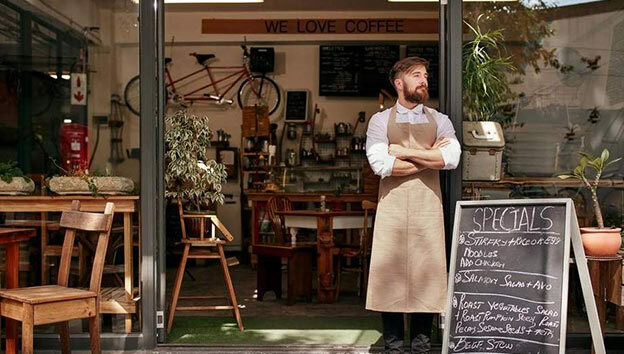 Some 50% of small business in the Cork/Munster rate their connectivity as less than excellent, so the improvement to the network is definitely needed. However, It is worth noting that most rural business cite the cost of going online as a much bigger barrier to change, than the connectivity issue. In the IEDR SME Digital Health Index for 2018, only 6% of online businesses’ said that poor internet connectivity was preventing growth. Certainly, it has not hampered some companies. 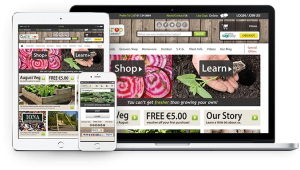 Quickcrop, www.quickcrop.ie is a thriving company operating in a rural setting in South Sligo Andrew Davidson and Niall McAllister sell vegetable growing systems and products for the keen amateur (and professional) gardener. Most of their business is online. Niall explains, “The internet gives you access to 7 billion people and you can build a business here very quickly. The reason we’re in Ballymote is because there’s good broadband here and the warehousing costs are quite small”. The secrets to Quickcrop’s success lies in their great products and service showcased through a vibrant, well designed and constantly updated website. Niall is aware that it is an unlikely business to do well online, and yet it succeeds with a healthy domestic trade, while also doing well in the UK and European Market. Working from a more relaxed country setting is not the only reason for enhancing your online presence. The Retail and Consumer Report of 2018 confirms that more and more Irish people search for goods and services online prior to purchase and that mobile Ireland has the fifth largest percentage of internet shoppers in the world. That’s an incredible amount of retail therapy for one small country! In 2017, keyboard consumers in Ireland spent a staggering €3.3billion. Panelshack is a small family run business located in Drumnagran in Tullyvin, Cootehill Co.Cavan. www.panelshack.ie. John Brady has been in the fitted furniture business for over 40 years. In 2010 he and his son James expanded the range and began manufacturing high quality wall panelling. The increase in popularity and the trend towards painted timber and furniture being used extensively in homes ensured success. They produce the panelling products in their workshop and host an extensive the showroom in Tullyvin. A modern mobile optimised website, with an easy click and collect option and comprehensive delivery system ensures that they have plenty of clients who never ever set foot in Cavan. A dynamic web presence is their key to providing a high quality product to a large and diverse customer base. But it is not just manufacturers and retailers who prosper in a more rustic setting. Rachel Gotto www.rachelgotto.ie conducts her Galway and online therapy consultations through a beautiful, informative and helpful website. The big sky and fantastic views of Spiddal are the backdrop to her successful business. There will always some reluctance before deciding to finally swop the stilettos and maccachinos for some stout walking boots and, well, maccachinos. (It’s not that backward in the villages anymore!) The move to the good life is very enticing. Who wouldn’t want to wake up to clean air and the sounds of nature, knowing that the bank balance is now as healthy as your lungs? The cost of living is significantly lower in the Western Region than in Dublin and other areas. You get so much more for your money. Housing is, of course the most obvious difference, with average rural rentals at just €613 per month and three bed houses for sale between €90 -120K So, it may well be time to consider that ‘big move to the country. Rural companies are thriving online. So why wouldn’t you? 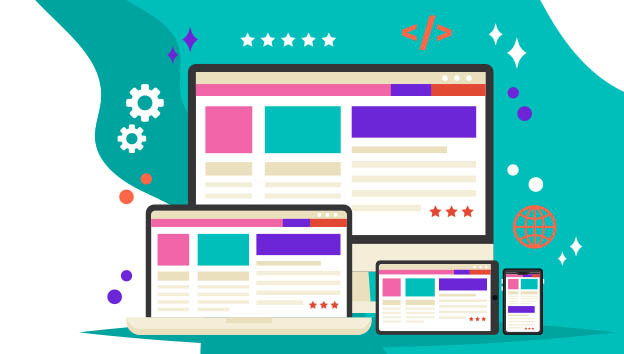 Does your website do what it should across all devices? Does it read easy on the eye with clever navigation and the minimum of resizing, panning, and scrolling? Is it responsive? A responsive website has been designed and optimised so that it looks its best on all devices, including mobile screens. It looks different, but still good, on a tablet and slightly different again on a computer screen. A responsive website literally responds well. Obvious, huh? So it changes images and font sizes as well as moving items to fit the screen of the user. Smart eh? 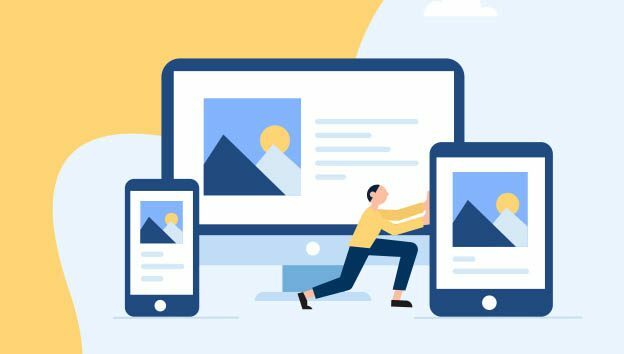 When we consider that 74% of consumers will only wait a maximum of 5 seconds for a web page to load on their mobile before abandoning the site. (Source: Gomez), then it makes sense to have a responsive website. Both Obvious and Smart! There is little point in having an amazing website if it is not displayed well across all devices, mobile phones and tablets as well as on standard desktops. Adults are now spending at least two and half hours a day on their phone, but the up and coming generation are spending a staggering 11 hours per day! Not all that time is spent Snapchatting and looking for Google map directions to the nearest Pizza shop. Online shopping is increasingly popular and research online before purchase is the order of the day. If you are not showing up, smartly, quickly and in an engaging way, across all those screens, you are not giving your brand a fighting chance for their share of the market. Yahoo, Bing and the great market leader Google love responsive websites and while you might not be too impressed with their approval, but when their love brings better rankings on searches, it is time to care. If Google loves you, it contributes towards being seen. Keep Google happy. Responsive sites have less bounce away and more interactions. It’s a good idea to check your website and test a purchase or a site navigation and see the customer experience. If people cannot read and navigate within the first vital seconds (not minutes!) they click away. Easy navigation across all devices will keep them browsing. 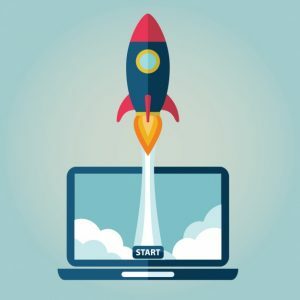 For a relatively small investment, you could be capturing that audience in the way you first intended when you launched your site. In fact customers tend to hang around on responsive websites longer. It could save you money. Pride in your own business and brand dictates that you too will love a responsive site. Nearly all new website templates have a responsive design built in and developers can, in most cases, make your existing website responsive. It means less click-aways, more time spent on site and more referrals to other potential clients. Google Loves Responsive. Your customer loves responsive and You will love it too. So tell me again why your website is not responsive? 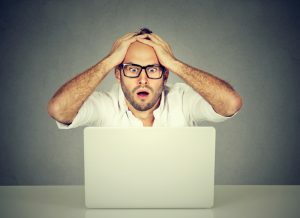 Have you ever launched an e-commerce website and failed, but don’t know why? 90% of all e-commerce business start-up’s fail! Every week I meet or take calls from business owners who all have one thing in common. They have tried launching an E-commerce website and failed, most of them don’t know why? The top 3 reasons e-commerce businesses fail! During my e-commerce consultancies one of the first things I try to impress on the business owner is the need to “Start Small & Grow Big” . You need time to learn, adapt and compete against similar companies or products that have a head start on you. Each e-commerce project should have a strategy with measureable goals in place before you begin. How will you load your products? How will you manage stock? What delivery methods should you use? What payment options should you choose? How will you market the website? Have you got a budget set aside? Do you have time to manage the site? As the website gets busier can you expand? Your strategy and timeline are intrinsically linked to your budget, so, be realistic at all times. In the early stages of your project you’ll need to set aside a fair bit of time to engage with your web design team, you’ll need to adjust your schedule to include website related activities. Some clients think that if we build them a website the money will start rolling in. I can tell you I’ve seen some disappointed faces across my desk 3 months post launch! Surprisingly a good number of business owners who go to all the trouble and expense of building an e-commerce website abandon it after 3 or 4 months because it didn’t work! It’s not that it didn’t work, it’s that they didn’t work the business! Currently there are over 1.8 Billion websites online. So launching your e-commerce website without a Marketing Plan is like putting a message into a bottle and throwing it into the sea. Google may not trawl your website for a number of weeks so it will be practically invisible, it won’t rank well either, so it’s unlikely to appear on the first few pages of a search engine results, until you start working on your “Post Launch” Strategy. To deliver all or even some of the above to a level whereby you are going to see some results takes time –Blog writing may take 18 months or more to gather momentum, Pay per click advertising takes approx. three months of delivery, testing and refinement to achieve an optimised campaign. How to get the balance right? If you’re really interested in building a business online then choosing the right team to partner with is a serious choice, you will probably be working with this team for a 3 to 5 year period, longer if the business model and partnership blossoms. Choosing the wrong Web Developer can set you back 2 years! By talking to friends and colleagues who have either built a website or built a business around their website you will gain invaluable insight into the process and you may well get a decent referral, I know in my own life I will only refer someone who has done an outstanding job. Choosing the wrong Web Developer can set you back years! How do you choose the right web developer for your e-commerce project? Do a Google Search, if the Website Development team know what they are doing they should rank well. How much will it cost and what’s included in those costs (Get a breakdown)? Can I edit the content myself? Can you connect my EPOS system to the website? Will the website talk to my accounts package? Who’s responsible for the SEO on the website? Do you give training on e-commerce management? 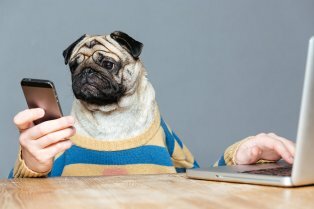 Is my website Responsive (mobile friendly)? Who manages the Google AdWords? Who manages the Social Media posting? Choose your web development team wisely. If you are a wholesaler, manufacturers or distributor you have watched the growing global ecommerce trend with a mix of both fear and longing. The idea that you can reach end users for your product is attractive. However most realise that this puts a strain between you and your trade customers. Why should they buy from you and compete with you at the same time? This fear has meant that most of you have not taken the leap. The thing that most wholesale operators miss is that there is a bigger opportunity. Ecommerce can be used to sell more of what you have to your trade customers. This blog looks at the common challenges and roadblocks that Manufacturers, Wholesalers and Distributors face in joining the world of always on and always open for business. We will also discuss solutions that Dmac Media have implemented with customers in this sector to create profitable online presences. When you talk to most suppliers, they will say customers have no time to talk to reps as the reason for slow growth in orders. If you consider your average small retail customer. They are bombarded day after day with customers, staffing issues, stocking issues and much more. On top of that they must manage accounts and payroll. When the sales rep stops by or calls, they have almost no time to talk. They just about manage to give the order and get back to their day. This limits the sales opportunity for the rep. If you were able to work with that retailer at a quieter time of day or better yet after they have locked up, you would find them far more receptive to looking at what options or offers you have for the month. How do I manage stock levels? How do I stop the general public seeing my prices? How do I make my pricing and discounts customer or volume specific? How do I manage invoicing and accounts? How do I get the reps on board? 1. How do I manage stock levels? Connecting to Epos or Warehouse software. A good website will give you product file import and export options. This allows you to upload a file (as often as required) to keep your stock in line. 2. How do I stop the general public seeing my prices? This is an easy one. You can set your ecommerce website to display the recommended retail price for the general public or if there is no such price you can hide the price from public view all together. The real pricing is restricted to users that log in. You can control who gets an account for your website and that will keep out the random enquiries or tyre kickers. 3. How do I make my pricing and discounts customer or volume specific? This is usually the show stopper for distributors as pricing can be very different depending on who you are dealing with. Customers that order small volumes do not get the same level of discount as the large volume customer. When they view your product ranges it is vital that they see their price. The best way to manage this is to use a volume discount option which can be set for each individual product or product type so that the more a user orders the more favourable their price gets. On top of that you can also set customer specific prices so that when a customer logs in they can only see there pricing. Again, accounts and epos connections can be useful here but as discounts do not tend to change daily it is not crucial. 4. How do I manage invoicing and accounts? Your ecommerce website will, by default, create an order delivery docket that is sent to both you and your customer. Many ecommerce sites use these to manually generate their invoices. For more automation we come back to that magic word, web services. Online accounts packages like Xero or big red book give you the option of automatically creating both purchase and sales invoices automatically via the website. Even older platforms like Sage & Exchequer now carry web service options. This kind of automation can cost but you will only need it if you are generating large volumes of orders through your website so if it is needed the budget should be there. 5. How do I get the reps on board? This is a common concern when we are working with distributors and wholesalers as they believe reps will feel like the website is a replacement for their role. The reality is quite different. The sales rep’s job is to manage the account. The Ecommerce website makes it easier for that rep to generate more orders and garner more commission. Once they realise that they can make life easier for their customers they become a champion of the website rather than a detractor. In a lot of cases the sales rep has been demanding this very solution for years. Getting your sales team involved in the specification and development of the site will make it a lot easier to roll out to clients and give real world feedback on what the customers need. 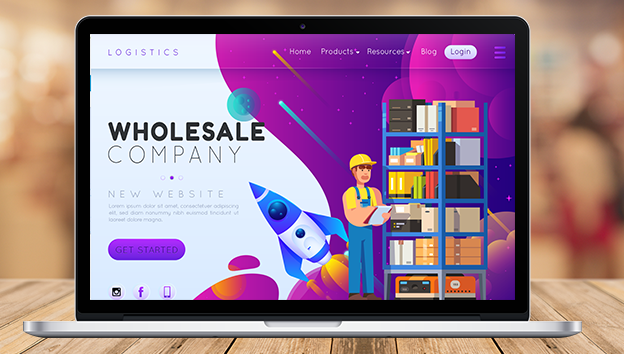 Hopefully this blog has helped removed the fear of ecommerce for you but if you are still not sure give us a bell and we can tell you how we have helped other wholesalers manufacturers and distributors to crack the online nut. Have you ever heard of Cyber Squatting? We’re going to guess the term cyber squatting is relatively new to you, but the practice of cyber squatting has been around for many years and the victims of such practice are far and wide. 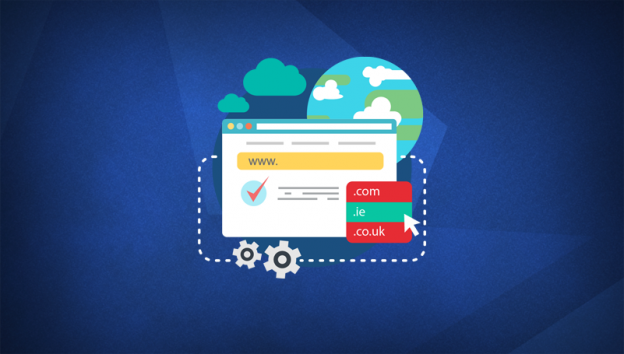 To learn more about Cyber Squatting and to save your business from paying exorbitant sums for a relatively cheap domain name watch the video below where Dave McEvoy sheds some light on the practice. And more importantly how to avoid it. 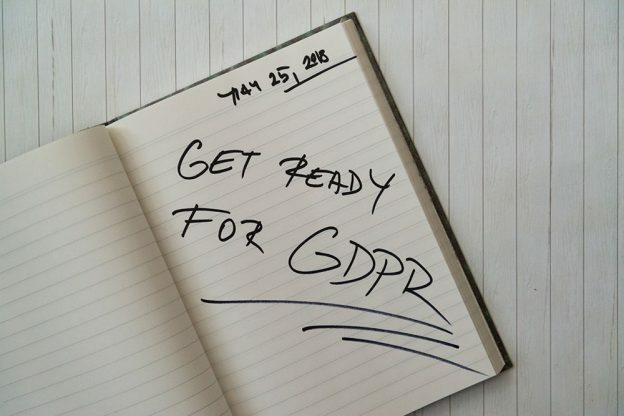 There is a growing buzz in the business community about the upcoming General Data Protection Regulation (GDPR) and what it will mean for small business. In this blog we are boiling things down to basic principals. We are not going to cover every single aspect of GDPR, but we will give you a breakdown on the three most important aspects of the General Data Protection Regulation for your business. Let’s start with a brief definition and deadline. What: The General Data Protection Regulation is a change in EU legislation governing the way we manage personal information of our customers. When: It was actually agreed and adopted by all member states in April 2017 but more importantly it is scheduled to come into enforcement on May 25th 2018. This is the point where compliance becomes mandatory and fines can be applied to companies or persons found in breach. As a business you will be required to tell your customers what information (data) you are collecting about them. You will have to inform clients what you are going to do with that data and how long you are going to hold onto the information. It is a good idea to carry out an audit of the data which you currently hold on your customers and update your practices to match the new guidelines. Customers must now give specific consent to the use of their data. You can no longer collect it for one purpose and use it for another without express permission. If you operate an online store or website that collects personal information you may well use the, all-too-familiar, tick-box, “Add me to your mailing list”. Most websites have this box ticked by default. From May onward this is no longer acceptable. Customers must give consent by actions rather than inaction. They must tick the box themselves. This will force you as a business to create better incentives for your customers to join your marketing efforts. Another consequence of this regulation is that all existing data must be brought in line with the regulations. If you all ready have a mailing list you must have specific consent for each person on the list. Many larger companies are already running re-commitment campaigns to get their lists up to scratch. This type of campaign can decimate the volume of emails addresses or mobile numbers you can communicate with, so it is important to plan carefully, we can help with this. You can expect to see a growing number of these Re-Commitment campaigns as the deadline for compliance approaches, so best not leave it too late. Your customers will have much greater control of how you handle their information. They have the right to be forgotten, and If they ask you to destroy information you hold on them, you will need to comply with that request within a 30-day period. They have the right to access, you have to be able to show the information you hold on them within a 30-day period. You must also make the data you have on that customer portable and if they want to move to an alternate provider you have to facilitate that. To recap, you have to communicate in a transparent fashion with your customers. Your customers must give you specific consent and they have much greater control of the data you hold. 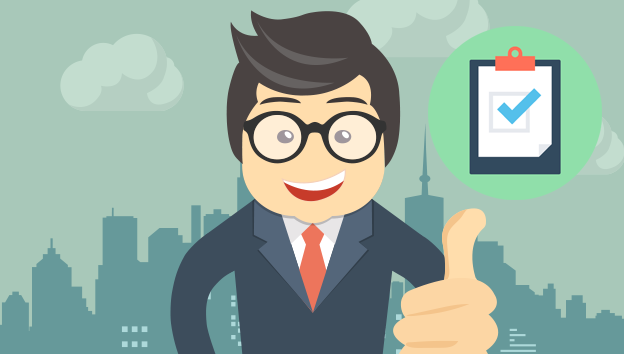 Is your website like a grumpy salesperson? complete a process online? Booking flights, hotels, buying a product? Well if you struggle to complete a task on a website the good news is you are not to blame. usability has said that a bad website is like a grumpy salesperson. Meaning it actively drives customers away from it by frustrating or irritating them. If a website is difficult to understand or use it is the fault of the designer or company not the user. We often design websites around our experience or understanding of our products and this is usually bad news for users. The worst sin of all is to assume everyone uses the website the way you do. Remember you are not your customer, they have different experiences, needs and understanding of your services or products. You need to consider your website from their perspective. Are all menus consistent throughout the site? Are the main sections or functions (like product search) obvious? Are you bombarding them with everything at once, or are you giving them relevant information one piece at a time? Do you know what your visitors are trying to achieve and why it maters to them? If we are honest, most of us will not have a definitive answers, it will be more of a gut feeling. So how do you diagnose a bad website? Well it might be common sense but unfortunately it is not that common. An important caveat here is that the users you gather should relate to your ideal customer or user. If you are not sure who that is you should check out our research options here but in short they are the people you expect to use your website to buy from, or learn about you. How easy is it for users to accomplish basic tasks the first time they encounter the website? Once users are familiar with the website, how quickly can they perform tasks? When users return to the website after a period of not using it, how easily can they reestablish proficiency? How pleasant is it to use the website? remember, the more relaxed and comfortable your user, the more likely they are to convert. The best way to ensure your results keep getting better is to test, tweak and test again. This should never stop. As the intelligence, technology and attitudes of your users keeps evolving. So should you. 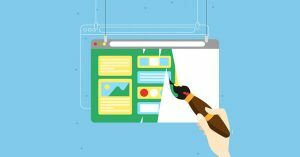 This article is giving you the briefest outline of something called usability which is vital to User interface Design (UI), which in turn is a major aspect of User Experience (UX) I have intentionally left these buzzwords until the end of this article because a lot of you out there have a negative reaction when you hear them. You assume that it is either too complicated or too costly but as you can see from the simple steps above it is very easy for any business to start listening to how their customers feel about interacting with them. If you feel like you need a bit more help on this then why not get in touch and we can start a conversation. This is most common question anyone in the web design industry gets asked and if you know web designers you know it is not always a straightforward answer. Compare it to asking a car sales man how much a car costs. It all depends on what you want the car to do. To get an accurate quote on a website you need to give the web designer or company more details. I am writing this article in the hope that it will give you some insights on how to effectively budget for your website. In the interest of full disclosure, I have a small bias because I work for one of the best website development companies in the known universe! I will try and keep my ego in check and give you information based on my experience in the web design industry over the last 10 years. If you carry out even the most basic research you will find that website costs vary wildly depending on where you look and it is not always clear what the difference in the result is. To help dispel some of the mist around this you can break it down into four broad categories. Platforms like wordpress.com, Weebly & Squarespace offer you the option of do it yourself web design. If you have some technical or design experience it can be a great low cost options. As with all DIY projects the results can look fantastic or frightening depending on the skill set you have. Most of these platforms come with preset themes that may well suit your needs and require little else other than your content. For the less brave but still budget sensitive they can engage a professional to set up a WordPress theme and tweak it to suit your requirements. This normally leaves you with a great looking site that you then must populate yourself with your own content. This can be a real winner for small business or start ups as there is minimal outlay and you have an experienced developer on hand. A word of warning though: Your professional works based on billable hours (or should do) so you need to know how much of their time you are getting as some of these projects can creep which can lead to a fractious relationship between you and your developer which is no good for anybody. Always ask what the hourly or day rate is and then cost in terms of time. It is fairer to both of you. This is where a lot of web designers like to work. Still a reasonable cost but more time to do more. Believe it or not web designers like to create beautiful work and if they have the right budget they normally do just that. As with the previous option make sure you know the time rates for your web development company and agree a reasonable timeline at the outset. This price range is perfect for standard business websites or simple ecommerce systems. If you need your site to go a little further or do a little more it is usually possible to evolve or build onto this type of site. If you need it bespoke from the start then you need to look at the next step up. Bespoke Web Development €3000 + €????? Create and sign off on a functional spec. Make sure everything you want the site to do for you and for your visitors is down in black & white. Create graphics before you start building. You should see and sign off on images of what the key pages of the site will look like before committing to the build. This limits the misinterpretations of developers. Agree a timetable for every key stage and stick to it. Agree rates for additional work. It is hard to think of everything and extras normally cost extra so get a clear idea of what the rates day/hourly rates are for work over and above the spec. How long will this website last? Websites generally have a technical shelf life of 3-5 years. If you consider the pace at which the web design industry moves you will realise that nobody can predict where we will be in three years. There is chance that your website will be as good in three years as it is today but it is more likely that something significant will have changed in security standards or user experience. If you are shopping around now you should be looking at your website spend as something that will last for the next 3-5 years (similarities here again to car buying). How much revenue will it generate? Deciding what to invest in a website should be considered in terms of what the website is going to create. How many new leads or sales or what is the potential revenue you are expecting (top tip: be conservative!) Once you have an estimate on this, your new website development should fall between 5-10% of the gross profit on those sales. Website 1 is a business website with no ecommerce engine. It generates 4 leads every week with at least one of those leads converting to a sale every month. If the average value of the sale is €400 and the cost of sales (what you spent on the product) is €110; then your gross profit is €290; 10% of this is €29 so over three years this website will generate an estimated €1044 (€29 x 36 months) This puts you firmly into the assisted DIY bracket. Website 2 is an ecommerce website generating 25 orders a day. The average order value is €48 with a gross profit of €10; That gives you a gross profit over three years of €273,750; 5% of this total is €13,687 which puts you into the bespoke price range. The point I am making here is that you should look at your budget as a percentage of your gross profits as this gives you a sense of what a reasonable budget is. This is probably something your accountant has already told you. My decisive point for this post is that once you have all the figures, you need to decide what the priority is. You can only spend two things in business and that is time or money. I have found that there is a balance between these when it comes to web design. The more of one you spend the less of the other. You need to decide how important the website is to your business and act accordingly. You may have lots of free time and very little money which means you are going to be a master of DIY or alternatively you might have a budget and no time so the professional is your best route. A new trust framework is emerging in the collaborative economy, the ‘Trust Stack’. In the first layer of the Trust Stack, people have to trust that a new idea is safe and worth trying. The next layer is trusting the platform, system or company facilitating the exchange. And the third layer is all about trusting the other user. 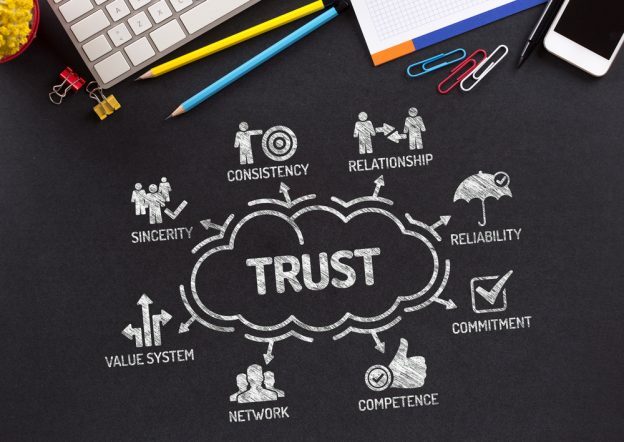 Trust or faith in ecommerce as a concept has been well established but if you are involved in ecommerce you need to pay attention to that second layer, “Trusting the platform”. When a new customer is contemplating a purchase from your platform they are dealing with uncertainties. Is this the right product? Is that the best price? When will I get it? Along with a host of other concerns that give the average new customer a high level of uncertainty. A good ecommerce website will do everything it can to lower that uncertainty which in turn builds on the trust the customer has in you and your business. Sounds good right? But how do they do it? 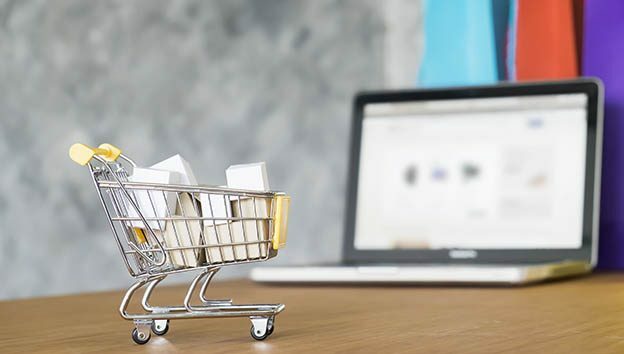 Here are some key factors that you should look to address at two key stages of the purchase process, the product details page & the checkout process. These pointers are based on a traditional product based ecommerce process but many of them can be applied to any website. 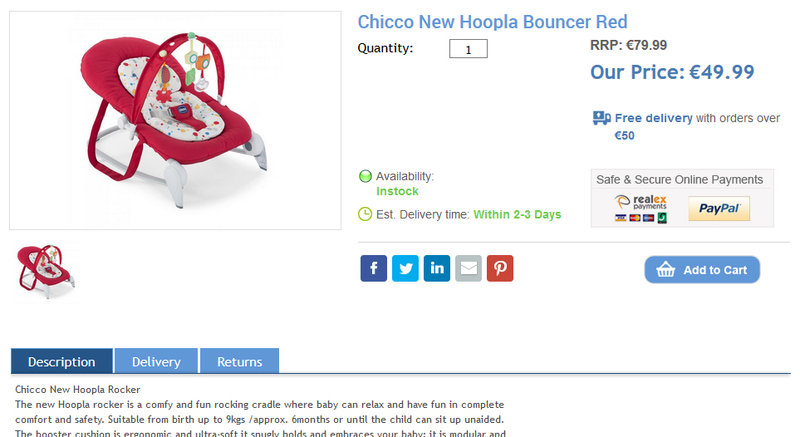 Below is a screenshot from our friends at babyaccessories.ie the page layout is clean and simple but there is a lot of elements here that create trust with visitors. A large product image lets the customer see exactly what they are getting it also has an image zoom feature (take a look at the live site here) that lets the visitor get up close and personal with the product and judge the quality. The product title contains the brand name, colour and product type, you would be surprised how often it doesn’t! The price is the largest piece of text on the screen closely followed by the original RRP which shows the discount. Beneath the price you have a free delivery statement which offers a visitor free delivery if they spend over a set value. They are displaying both an availability icon (confirming they actually have it on the shelf) as well as an estimated delivery timetable. Speaking of delivery, there is also extra delivery and returns information in the tabs beneath the image. Lack of, or unclear delivery and returns information is one of the most common reason for abandoned carts. Last, but definitely not least, they are displaying the statement “safe and secure shopping” statement along with a recognised online credit car processor. Customers will recognise and respond to processors they have used before. All of these elements reassure a visitor and make them much more likely to click on the all important “add to cart”. This is a great start but it is only half the battle. Lets move on to the checkout process. When a customer visits the cart you want to make it very simple to start the checkout process. The cart should have only the essential information for a customer to make that decision. Keep your cart simple by making the options for removing or updating quantities of products obvious. Show your delivery options clearly and make sure the customer can see the total cost at this point. In addition, an eye catching checkout button that is visible above and below the cart summary. Do not make your customer look for twice for it. Stop asking me to join your cult! The most common first step for a checkout is to ask the user to sign up or log in as a member or checkout as a guest. This is a bad idea. A first time customer does not want to join your club or become a fan. Pushing them at this point can drive them in the wrong direction. It is far better to let them checkout as guest and ask them to join afterwards (preferably with a bonus for doing so) If the customer is already a member they just need a simple log in link. Customers are getting used to having it their way. Providing customers with options for payments (PayPal, Stripe, etc.) gives them control. The same goes for your delivery options. Express delivery, standard 3 day delivery or collect in store? Don’t assume you know what is best for your customer. If you spend time studying how visitors behave on your website you can find hundreds of ways to lower their uncertainty and increase your revenue. If you would like us to take a look at your platform why not mosey over to our contact page and we can start a conversation. In recent weeks we had the pleasure of launching a brand new website for the Tubbercurry Western Drama Festival. The group were thrilled that their new look website which has just gone live ahead of the upcoming All Ireland Drama Finals running from April 21st to 29th in St. Brigids Hall Theatre, Tubbercurry. This is sure to be a marvellous event for South Sligo and a wonderful opportunity to showcase all that Tubbercurry has to offer. The event itself will culminate in the All Ireland Three Act Confined Finals. The easy to use, Dmac Content Management System, has simplified website management making it easier than ever before to add, remove, and tailor a websites look and feel, so that it never gets old. Having a 100% mobile responsive website was a key consideration for the group as visitors to the event will be browsing via their mobile phone primarily, and of course this comes as standard with a Dmac Content Management System. 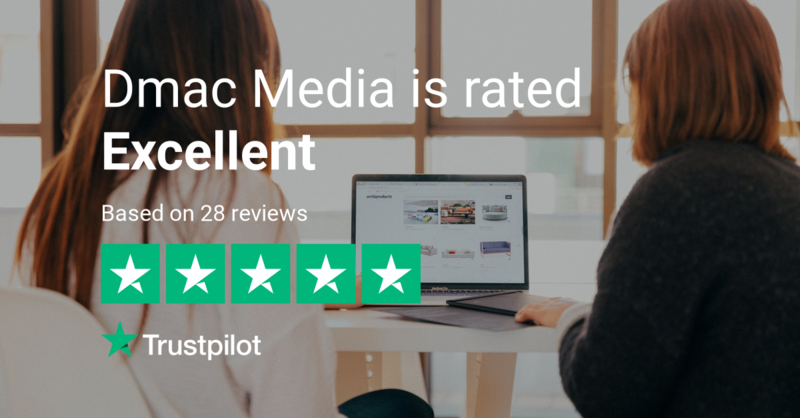 Contacting a Dmac Media Account Manager can help drive your business online – Contact Us Today!